DJ Vibez and DJ 4kerty drops a special mixtape titled “Urban To Street Mixtape”. 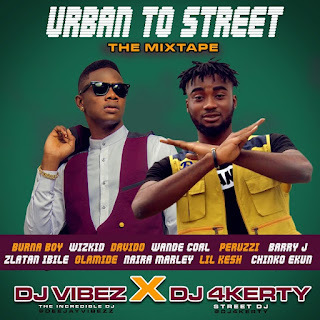 It is made up of trending urban & street vibes for your listening pleasure. Be the first to share your experience as you Download, Listen and Enjoy!